Barbara Needs A Kidney Transplant And Our Help! 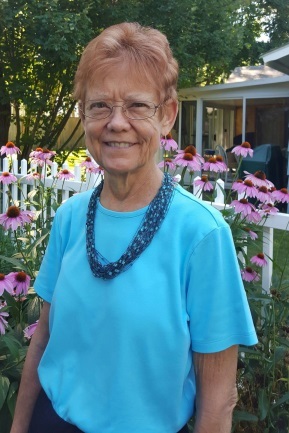 Barbara Selvitella is an accomplished woman who has served her community in many roles, including teacher, librarian, school leader, community volunteer, tai chi practitioner, wife and friend. Barbara lived with Juvenile Type 1 diabetes for 43 years before receiving a kidney from her sister ten years ago. That kidney, along with a donor pancreas, gave Barbara a rich, diabetes-free life of community involvement; unfortunately, donor kidneys have a limited lifetime (10 to 20 years) and Barbara is back on dialysis. Do you remember Barbara as media specialist at Foxboro High School? Or Newton? Are you a resident of Bellingham, where she served as library trustee and later as treasurer for the Friends of the Bellingham Public Library? Were you in Model Congress or National Honor Society, and she was advisor? Are you one of her fellow librarians who worked with Barbara advocating support for excellent school and public libraries in Massachusetts over the last 30 years? Maybe, like me, she inspired your life’s work? Her example and encouragement led me to become a teacher. However you knew Barbara, your life is richer as a result. If you know her, you know how her life of service has helped others. Now, it’s our turn to help her. Anyone who is interesting in becoming a living donor for Barbara should contact the Beth Israel Deaconess Hospital Transplant Center at www.bidmc.org Their website provides guidance and education to anyone who would consider such a generous gift of life. There are many transplant related expenses that aren’t covered by insurance including travel for testing and transplant, caregiver expenses, and the very expensive medications that Barbara will need to take for the rest of her life. To help with the financial burden of Barbara’s uninsured expenses, a fundraising campaign in her honor has been established with HelpHOPELive, a trusted nonprofit organization that has been providing community-based fundraising guidance to patients and their families for more than 30 years. All donations are tax-deductible, are held by HelpHOPELive in the Northeast Kidney Transplant Fund, and are administered by HelpHOPELive for transplant-related expenses only. Please consider making a contribution. This amazing woman is my friend and mentor. Over thirty- five years, she has been my teacher, debate and Model Congress coach, colleague, and honorary family member. She inspired me and encouraged me to be a teacher. She has given so much to so many. After reading her story, I hope you will support her cause and consider organ donation. Thank you for your prayers, support and generosity. Keep an eye on Barbara’s campaign page at helphopelive.org . We are planning fundraising events soon, and posting updates regularly. Just received news from the Beth Israel Deaconess Transplant Center that my two possible donors did not pass the final screening tests. But Springtime has me hopeful that I will be lucky enough to find someone else. Right now Barbara is waiting for the Transplant Evaluation team at Beth Israel Deaconess Medical Center to make a determination between two possible donors. She wants to thank all of the people who have already extended their best wishes and help to her search.